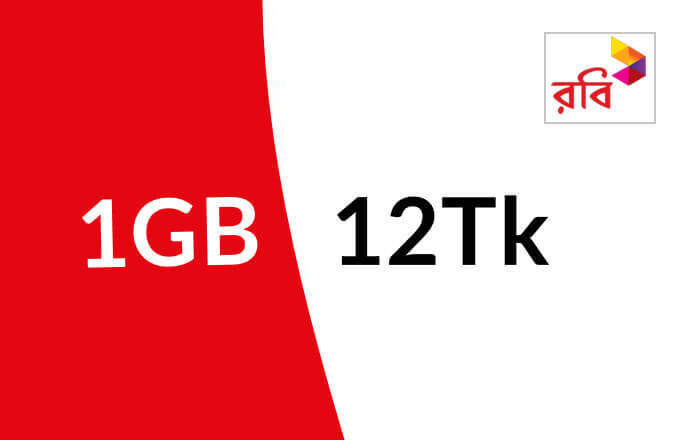 Robi Internet Offer 4GB @Tk108, 6GB @Tk129! Robi Axiata Limited brings a really satisfaction internet data offers, these days we have a tendency to share Robi Special Internet Package 4GB @Tk108, 6GB @Tk129. The Robi recently started some internet package. Enjoy the Grandest Internet Festival with Robi Keeping the gala season in mind. Robi has come up with the most exciting Internet offers for their valuable customers. The exclusive 2 internet package details in the below, Robi 4 GB internet Tk108, 6GB internet offer Tk 129. Offer eligible Robi Prepaid and Postpaid customers. 108Tk 4GB internet, validity 7 days. Tk129 6GB internet, validity 7 days. *123*3*5# dial to check your internet balance status. The pack when the end of validity or data customer charges main account balance. 4G Quota can be used only in the 4G network on a 4G enabled handset with a USIM. 108/129Tk package prices are inclusive of VAT, SD & SC.